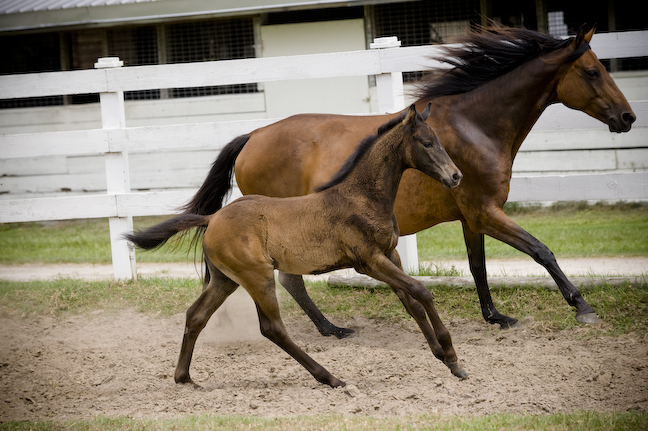 Stiletto's foals are equally talented for either eventing or dressage. His daughter Copycat Chloe recently won the National Young Rider division at Intermediate in Kentucky. 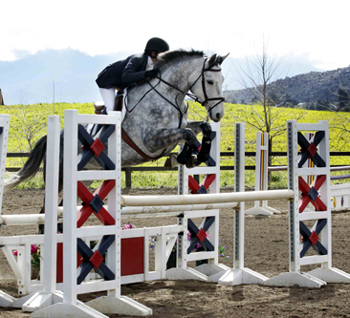 His son, Inxs, has dozens of wins at the 3'6" level, amateur owners 35 and over hunter division. Many are placing and winning in dressage. We have many excellent reports from breeders all over the US, remarking on the fine temperament and gaits of their foals and riding horses, offering marvelous work ethics and kind, brave natures. Don Redden reports that another Stiletto daughter, Azura recently won her training division. Mistro In his first event at BN, heplaced third, qualified for the area championships and placed 5th in that tough competition. He placed 2nd inhis first Novice. His nature is brave and kind. owned by Trish St. Clair. 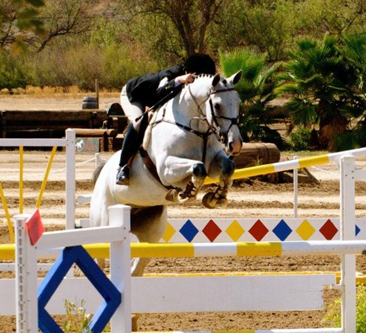 Mistro, owned by Julie Baxley. Mistro (as a weanling) won the Cosequin/USDF Breeder's Championship, Mid-South Series Final Show on Sept. 15, 2002 competing against 3 and under age stallions. He grew up to be a wonderful competitor as shown below.